I’m always happy when I can find "new-to-me" bloggers. It’s a bonus when you can find them in the area where you live. 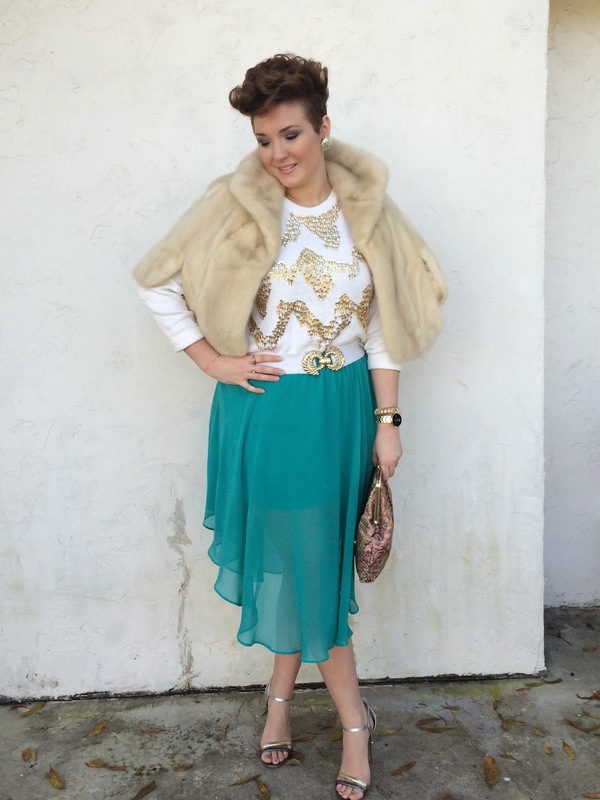 Today we are in full swing with Blogger Inspired Fashion Week featuring the lovely Nikki of Style Rehab. Nikki is one of my Instagram finds. 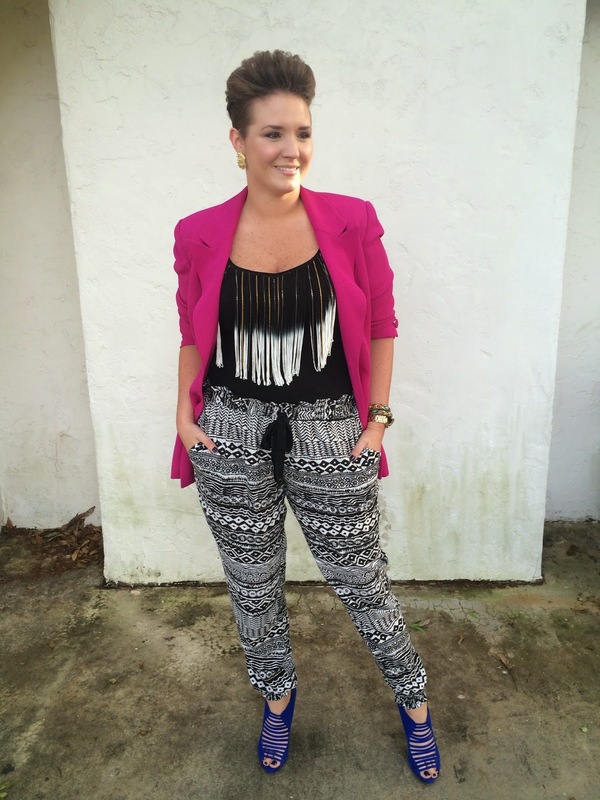 I think I did a hash tag search for Florida Bloggers and came across Nikki and her fabulous style. I think I went through all of her pictures in like 5 minutes because I couldn't get enough of her amazing wardrobe. 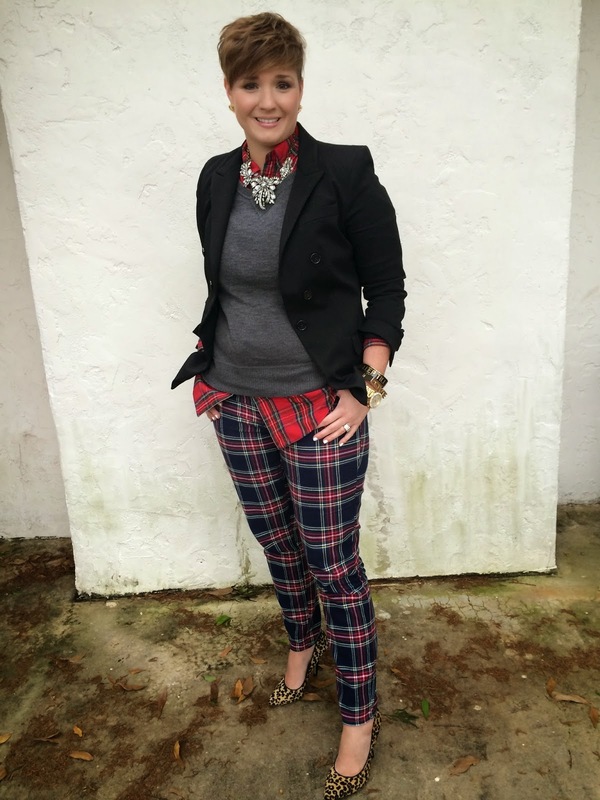 Nikki’s style is what I like to call “Polished Edge.” With everything from her fabulously styled thrifted treasures, her bold and bright colors & patterns, and her funky haircut, her style is on point! 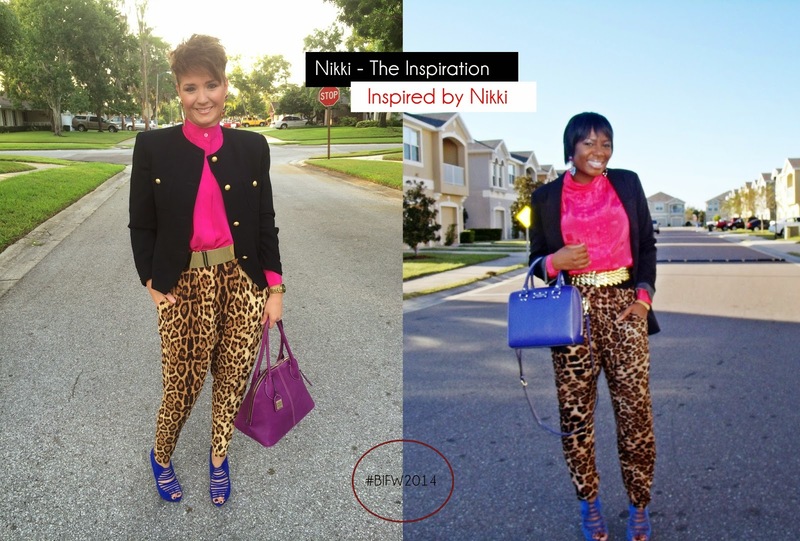 If you are one of those Dolls that can’t figure out how to wear thrifted pieces or how to incorporate them into your current wardrobe Nikki’s look provides the perfect inspiration for that. 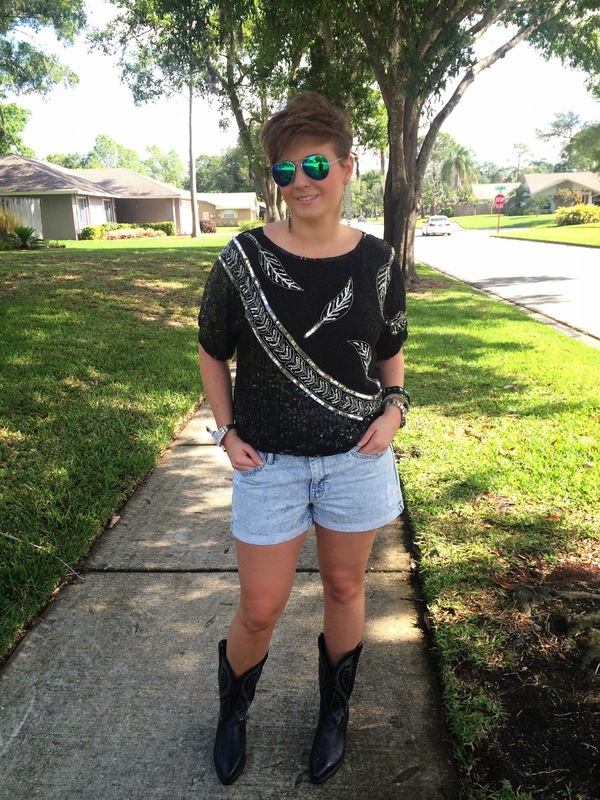 I am from Ocala, FL and I have always had a love of fashion since I can remember. I have always loved to express myself through my clothing. I have always taken a risk with my clothing. Ever since I was a child I hated wearing jeans and pants I always wore skirt and pants. Growing up in the 80’s I love to wear 80’s clothing now! I have a Bachelor’s Degree in Fashion Design and Marketing from the International Academy of Design and Technology in Tampa, FL. I did an internship in London, England with Polish Designer Katarzyna Szczotarska after her Fall/Winter 2004 collection for London Fashion Week. After London, I moved to New York City, NY to pursue my career. I worked for a Men’s clothing label Guido and went to New York Fashion Week for their Spring/Summer Collection in 2004. 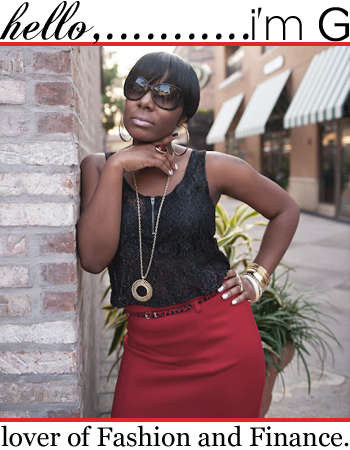 I became a stylist for Saks Fifth Avenue E-Commerce and a lingerie company called FreshPair. After 3 years in New York I moved back to Florida. I started my career in Visual Merchandising. I started at Belk, then JCPenney then Dillard’s. After 3 years of experience I became Field Visual Merchandiser for Forever 21 where I oversaw a district from Sarasota to Gainesville. I also traveled throughout the US doing store openings and floorsets. I was one of 2 people chosen to go to Dublin, Ireland to train the new staff. I decided to leave the fashion world and focus on my own fashion future! I do not have a signature style at all. I gravitate towards color and prints. Always mixing prints and the addition of lots of accessories. I don’t really have a particular method when creating an outfit. I start with a piece or two and build from there. It just comes to me like an epiphany. Some outfits take longer than others but the important thing is for me not to rush the process. I hold out for the best possible option! I know this is going to sound crazy but I like to accentuate my hair. I think about how I style my hair with each outfit. I know this doesn’t answer your question but its’ true. If I had to answer your question I guess I don’t really accentuate a particular body part I try to dress for my body type. I am bigger on top than I am on bottom so I have to balance my bottom half. I would say my biggest Fashion Challenge is I LOVE to layer and I live in Florida. Thankfully, my office is freezing so I can layer up even in the summer. Everywhere! I do not discriminate! H&M, Forever 21, J.Crew then any thrift store Goodwill, Salvation Army then any smaller thrift stores and church thrift stores. I also shop at JCPenney and Chico’s. Like I said I am an equal opportunity shopper! I love J.Crew. I love Versace. Ralph Lauren for sure. I love the styling of the Ralph Lauren ads and often try to replicate them. Is there a Fall/Winter trend that you’re dying to incorporate into your wardrobe? I look forward to the fall to throw on a blazer or jacket with everything. I also love to wear tights in the fall. Those come in and out of style but I love to wear them to add a pop to my outfit. This sounds crazy but people always told me I should create one. I always had a passion for creating outfits and getting dressed and I wanted to share my fashion point of view with other fashion minded people. My blog is not as relatable or easy for the reader to replicate as other blogs. I want to inspire people to think differently and to take a risk. I think my mixing of colors and prints sets me apart as well as my mix of thrift store purchases mixed with current purchases. I’m not really sure where I see my blog in a year. I would love to go to fashion shows, be on local tv shows talking about fashion and things like that. I am up for where ever this thing takes me. I don’t believe you have to spend a ton of money to have great style. 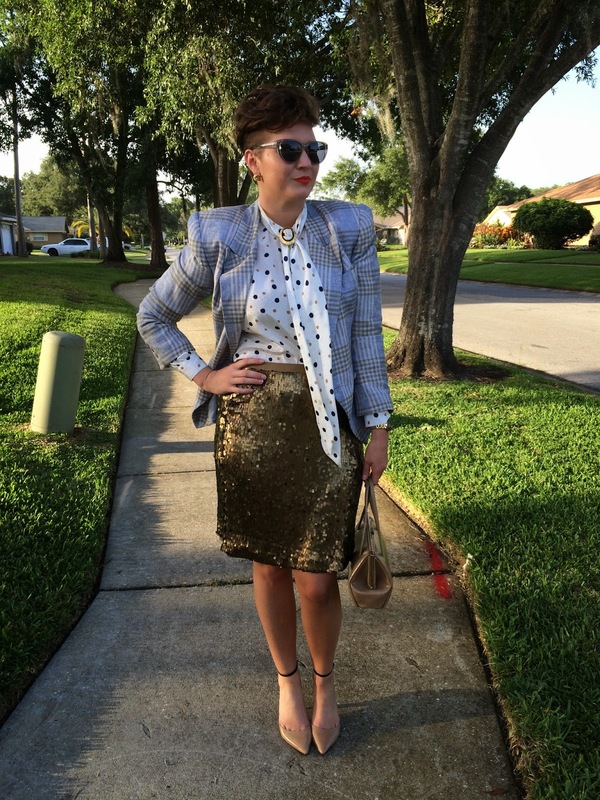 I buy things from thrift stores for $.50 and style it up and it looks expensive. I do spend money on handbags and shoes, but clothes you can get great pieces from thrift stores for practically nothing. I would say be you! Don’t listen to what anyone says or thinks just be authentic. This is harder than you may think so you need to be sure you want to fully commit to this, because it is a commitment! Nikki's professional fashion resume is quite impressive, right Dolls? She has definitely covered som ground and gave us some amazing advice. Now its evident that her LOVE for Fashion is FOR REAL!! Personally, I just love her eye catching style and swagger. She is definitely a “Fly Girl”! So, what look of Nikki’s did I choose for my recreate? 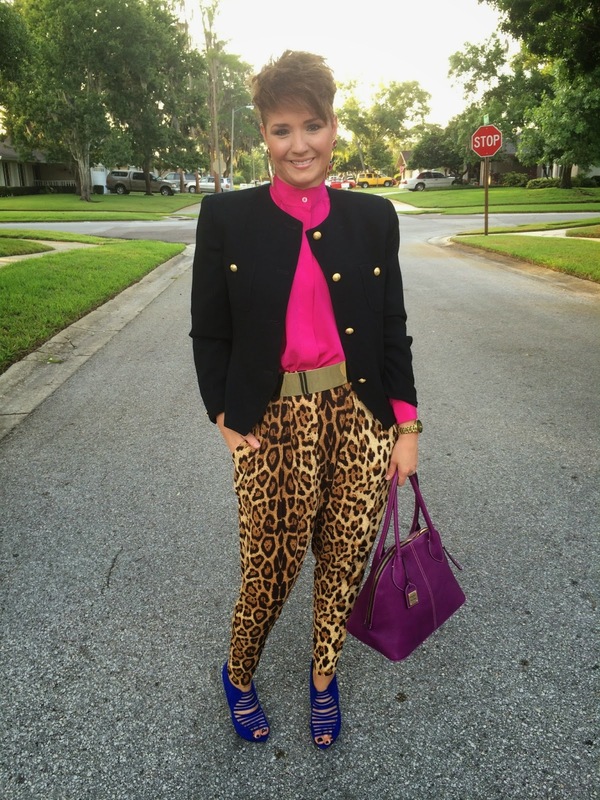 Well Dolls, I chose…”Urban Safari” from Nikki’s July 14, 2014 post. In case you didn’t know July 14th is MY BIRTHDAY, but that’s not why I chose this look, it’s a bonus, LOL!! So here we go! Nikki, I hope you like it. 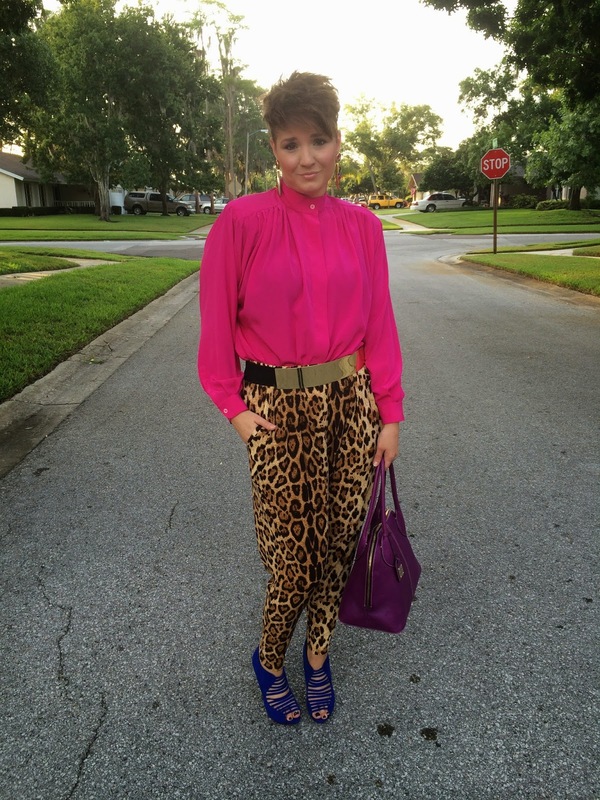 So Dolls, how did I do with Nikki's Urban Safari look? I absolutely love her style!!!! Heading to her blog now!!!! Thanks so much Style & Poise! I appreciate the love! She is definitely fabulous Roni! 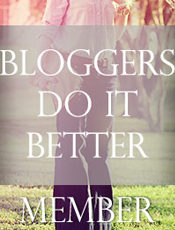 I know you will love her blog!! Oohhh. A fellow Tampa blogger. She has AMAZING style. She is right up my ally. 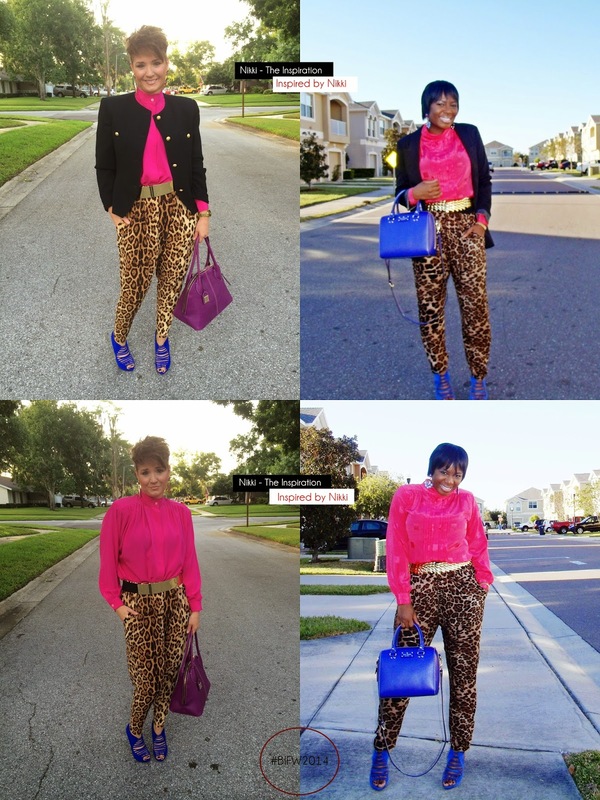 I love bloggers with an independent sense of style that is their OWN. She certainly owns her unique and eclectic style and wait....she loves to take risk. My kinda of fashionista. Be Bold. Be Fabulous. Be You! Nikki. Love it! Natasha your kind words made my day! Thank you so much girl! I really appreciate it!! Are you in the area!? We should get together!! Thanks for the kind words Doll! 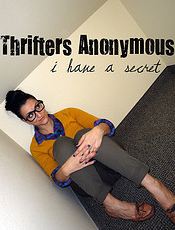 I would love to go thrifting with you anytime!! Love the combination the pink with the leaopard print, looks nice. You guys rocked it out! !